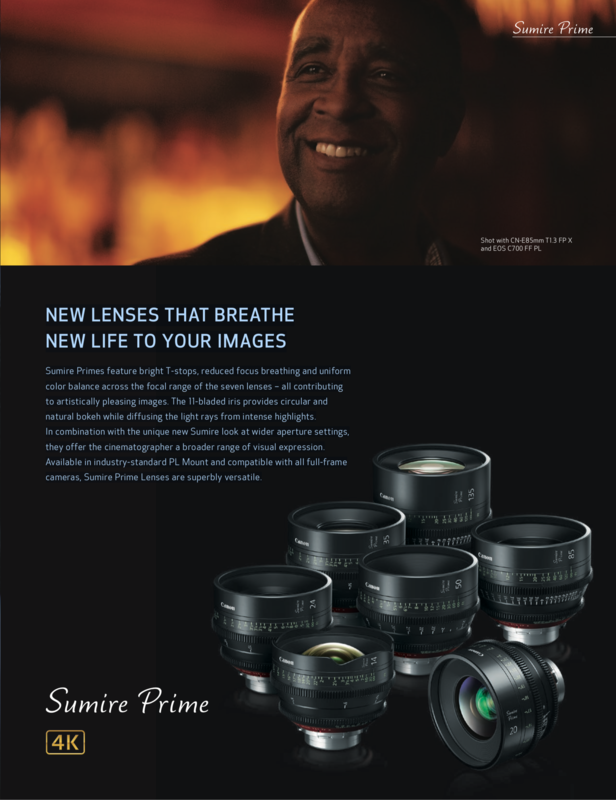 Introducing Canon's new Sumire Prime PL Lenses. Sumire, pronounced "Soo-mee-ray", is the name of a Japanese flower, and like the petals of a flower, Canon's lenses are most beautiful when fully opened which brought the inspiration behind the Sumire look. High resolution and Warm colors. Release date and more info coming soon but available for Pre-Order starting today!